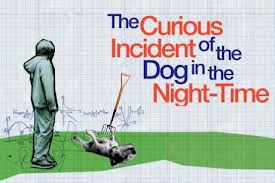 Novel study 1E - Adolf Øien 2013 The Curious Incident with the Dog in the Night-time: Make a glog! One of the aims from the English curriculim this year is to compose multimodal texts. A multimodal text communicates not only through written language, but also through other elements such as music/sound, image/illustration, composition/layout, colour and motion/video. A picture book (paper), a web-page (digital), a magazine (paper) and a theatre performance (live) are all examples of such multimodal texts. The key is to consider what you want to communicate and how, and to make sure that all the elements of the text constitute a "whole". A glog is, simply explained, a digital multimodal poster. On the designated space of the poster you can write and organize text boxes, upload and arrange images, videos and music to communicate a message. To be able to do this you must first register so that you have your own glog account. Now you have probably read a good chunk of the novel. Choose an incident, a chapter, a phenomenon or a character that you find interesting. This will be your starting point for making a glog about it on www.glogster.com. You must use at least three types of modes on your glog to present your chosen character/theme/incident. Consider carefully what aspects you want to focus on, and how they can be well communicated through different modes and the layout. At the end of this lesson, post the link to your glog as a comment to this post. Your glog does not need to be finished yet, you can keep working on it later. Your glog will be part of the assessment of this period together with the writing session we will have later (date to come soon). It's a good idea to start by looking at http://www.glogster.com explore to get ideas for your own glog and to get an understanding of what a glog can be.